But then, how often do I read the books on my keeper shelves? And I mean every book. Is each book truly a keeper? Or, in the words of Marie Kondo, do they all spark joy? There were many books that deserve to be on my keeper shelves. 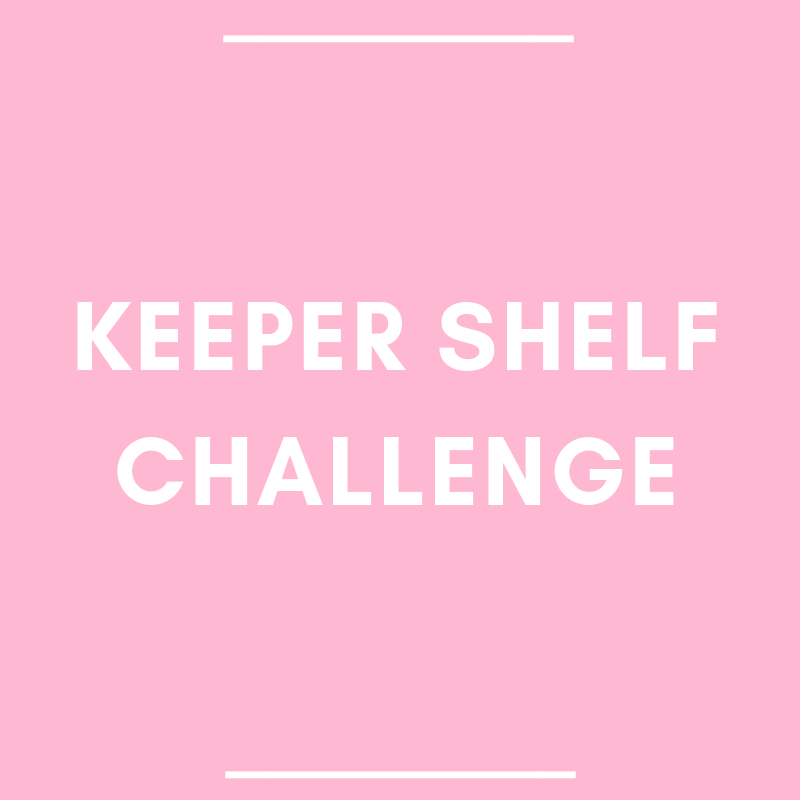 There are some books on my keeper shelves that are good, but is that reason enough to keep them? There are some books on my shelf that I don’t like anymore. I can see why I liked them in the past, but I’m a different reader today. Once I went through my keeper shelves, I had to make some decisions. The books that I adored and immediately knew I would keep went back on the shelves, but what about the other books? Some were good, and I wouldn’t be opposed to reading it again, but should they take up space on my keeper shelf? Exactly what are my requirements for keeper shelf status? I think that answer is going to be different for readers. I’m one of those readers who have auto-buy authors, and it’s obvious that when I like an author, I want to get all of her books. But not every book is going to achieve keeper status. I needed to compare a “good” book with her other work. Was there a book that had a similar trope or set-up that I liked better? If so, I donated the less favorite book and kept the other one. And for the books I didn’t like, I should have ruthlessly weeded them out. But no, I hesitated. Some of these books were important to me when I was younger. Shouldn’t I keep them for that reason alone? In the end, I decided to donate the books because I don’t want to use my keeper shelves as a museum collection. I want to read these books over and over and make room for new favorites. At the end of my challenge I still had more than 30 books and more than one keeper shelf. I don’t think I want to whittle it down anymore, and that’s okay. My goal was to have only keepers on my keeper shelves. Not only does each book bring me joy, but it gives me great comfort knowing that these books are nearby. I have been to a number of conferences, so if I had a book signed, it is a keeper. No argument. I also keep favorites from authors. It’s true that some of their books may not be as good as others or they do not bring the same level of joy. In the end, if it is falling apart, I pray that the library has a copy somewhere and put it out of its misery.